Provenance: C.T. Loo, New York, December 1949. Literature: H. Munsterberg, The Arts of China, 1972, no. 63. Note: While European potters did not succeed in making porcelain until the eighteenth century, recent excavations have shown that fine, delicate, translucent, white porcelain was being made in north China some eleven or twelve hundred years earlier, in the Sui dynasty (AD 581-618) at the Xing kilns at Neiqiu in Hebei province, although it appears that the northern potters had to add potash feldspar to the body composition in order to achieve translucency at a reasonable firing temperature. 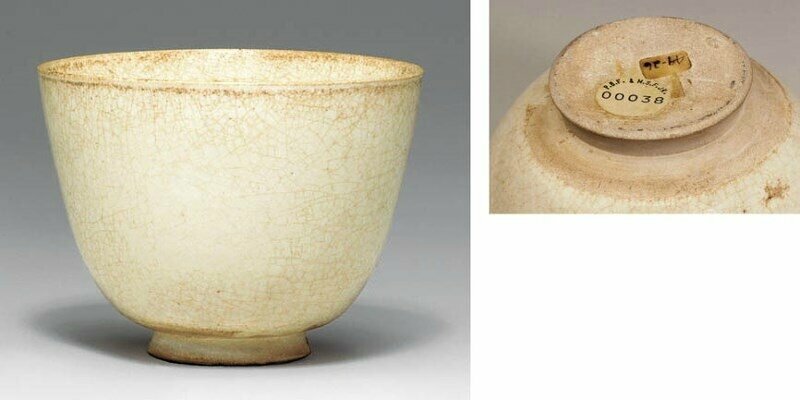 The majority of the high-fired white wares of the Sui period, however, were not translucent, but some, like this cup, were extremely finely potted, of elegant form, and good white color. 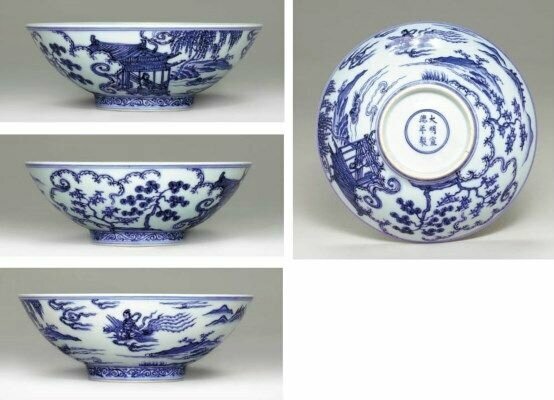 Both the Xing kilns in Hebei province and the Gongxian kilns in Henan made these very fine white wares, which have been described as 'near-porcelain'. The Falk cup is an unusually large example of this type. Cups similar to the Falk cup and dated to the Sui dynasty have been excavated at the site of the Xing kiln and are illustrated in Wenwu 1987: 9, pp. 4-5, figs. 6 and 10-4. A set of five smaller cups of this type, with a white-glazed tray, are illustrated in Sekai toji zenshu, vol. 11, Sui Tang, M. Sato and G. Hasabe (eds. ), Tokyo, 1976, p. 37-8, nos. 22-24, and four more cups with tray are illustrated by, R. Krahl, Chinese Ceramics in the Meiyintang Collection, London, 1994, vol. I, pp. 122-3, nos. 200 and 201. 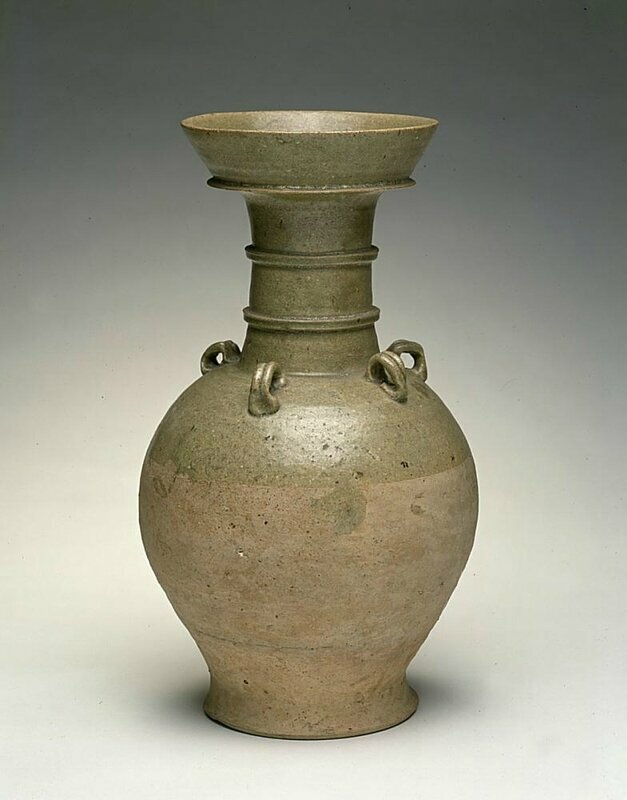 The larger size, represented by the Falk cup, is, however, represented in the collection of the Henan Provincial Museum.